Yerba Buena Island (a.k.a. 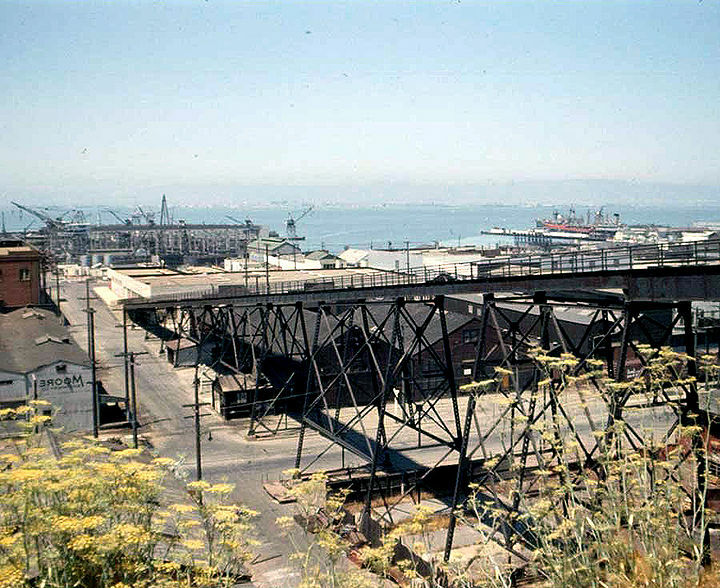 "Goat Island", left side of the image, a dark ridge), the Bay and East Bay hills, as seen from Potrero Hill at apx. 19th St. and Pennsylvania, April 30, 1927. 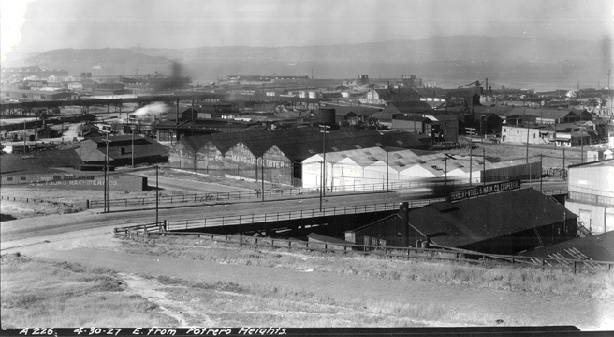 The 19th Street Viaduct is the road in the center of the picture. 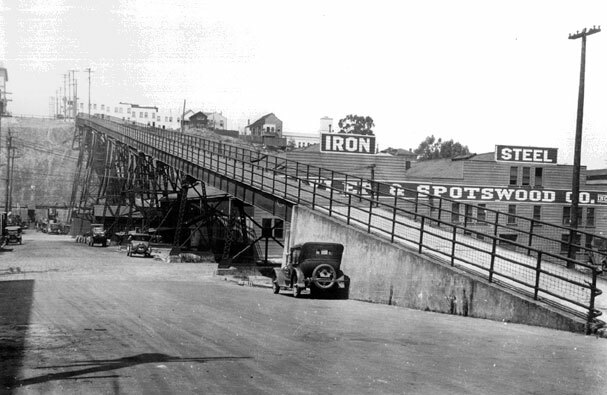 Same pedestrian bridge in 1956 as it crossed Iowa Street (now long buried under Interstate-280).